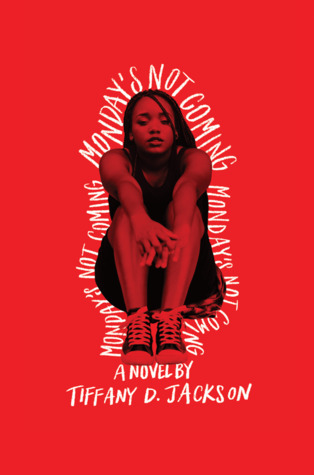 A gripping, relentless, and timely new novel from critically acclaimed author of Allegedly, Tiffany D. Jackson, about the complex mystery of one teenage girl’s disappearance and the traumatic effects of the truth. Monday Charles is missing, and only Claudia seems to notice. Claudia and Monday have always been inseparable—more sisters than friends. So when Monday doesn’t turn up for the first day of school, Claudia’s worried. When she doesn’t show for the second day, or second week, Claudia knows that something is wrong. Monday wouldn’t just leave her to endure tests and bullies alone. Not after last year’s rumors and not with her grades on the line. Now Claudia needs her best—and only—friend more than ever. But Monday’s mother refuses to give Claudia a straight answer, and Monday’s sister April is even less help. As Claudia digs deeper into her friend’s disappearance, she discovers that no one seems to remember the last time they saw Monday. How can a teenage girl just vanish without anyone noticing that she’s gone? I adore this author and loved her first book, Allegedly, so I’m super excited for this book. How about you?